It’s 2012. Are you Ready? Well, here we are. This is supposed to be the year everything ends. Don’t bother buying Christmas presents because the Mayans didn’t bother to continue their calendar past Dec. 21st, and they knew why. As you can clearly see, no Christmas in 2012. What fascinates me about this is not the question of what the Mayans meant but of how so many people seem to feel that there’s something to this. 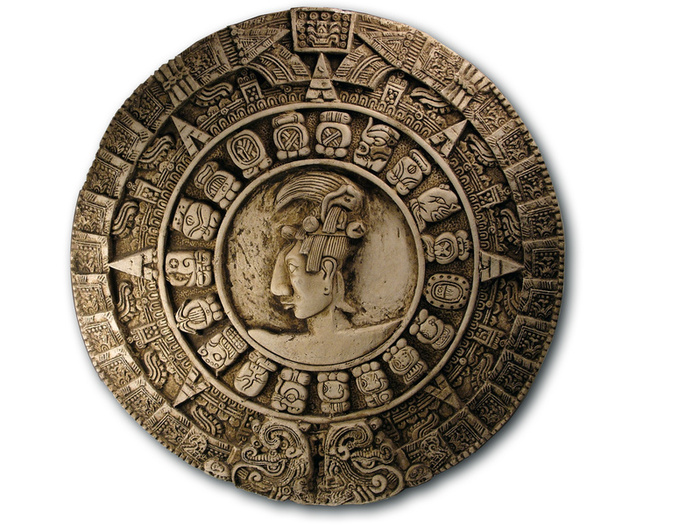 In THE REAL HISTORY OF THE END OF THE WORLD, I discuss the Mayan calendar and its significance to them. Today I’m wondering about the intense need we seem to have to predict annihilation. Books, articles, TV specials and tons of internet articles discuss not only the once-obscure Central American civilization, but also dozens of other ways the world might be destroyed. Oddly, all of them focus on December of 2012. Some people say solar flares will destroy communications. I don’t think that would be the end of the world, but then we add the Galactic Alignment, which lines up so that we can be taken out by a death ray from the black hole in the center of the Milky Way. I was reminded recently of the tenth planet (although since Pluto has been demoted, it may be the ninth) This guy wanders through the universe, flouting the law of gravity and probably many others. It’s due to collide with Earth, wait for it…in Dec. of 2012. One of the most fascinating things about these predictions is that they are largely secular, unless your god is pseudoscience. As has recently been shown, the biblical book of Revelations has not revealed the date for the Christian apocalypse. (see my blog for October) Those who are tired of trusting mathematical theologians moved on to real geniuses with numbers. Did you know the Mayans worked in base 20? They have to know more than a Greek-speaking hermit on Patmos. Why do so many of us want the world to end? Is it preferable to coping with our problems? Is there some sense of control in knowing the future and how little there is left of it? I honest don’t know. The one thing I do know is, if there are going to be catastrophes and destruction, it would be nice if they didn’t wait until after the American election. Making us endure that and then when it’s finally over, ending the world, is just adding insult to injury.